LoA_Prepare for Team Tournament, Win Godly Gear & Easter Bunny! To help you get prepared for the Cross-Server Team Tournament, we are holding a series events as follows. 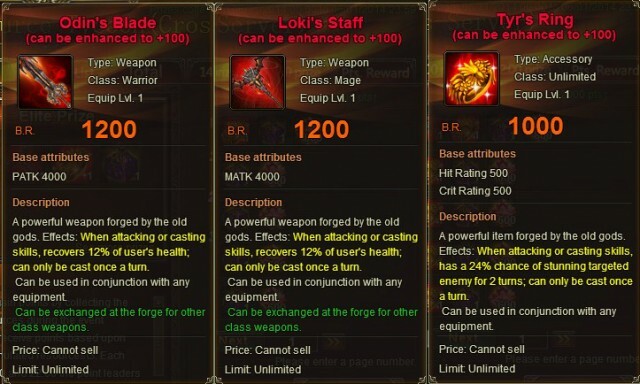 Description: Collect the required resources to win Odin’s Blade, Loki’s Staff and Tyr’s Ring! 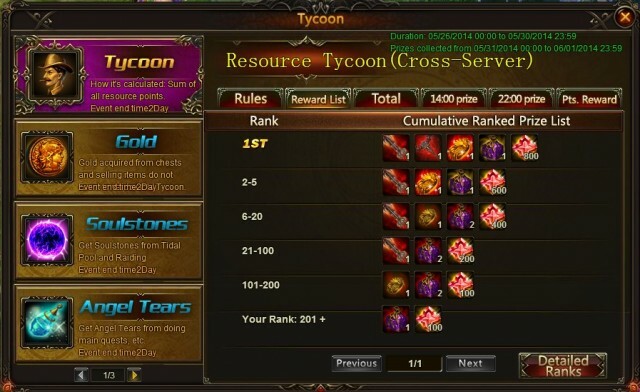 - Click on the Tycoon icon on the top of the game window to open the Resource Tycoon (Cross-Server) menu. - Each day at 14:00 and 22:00 the point leaders will be determined and prizes will be set accordingly. Prizes include Fusion Gem Chests and Seraph’s Stones. We are introducing a fantastic group buy event for our valiant players: Group Buy. Save up to 50% and get Easter Bunny Shard, Seraph’s Stones, Blessed Stones, Gem Essence and many other awesome items. 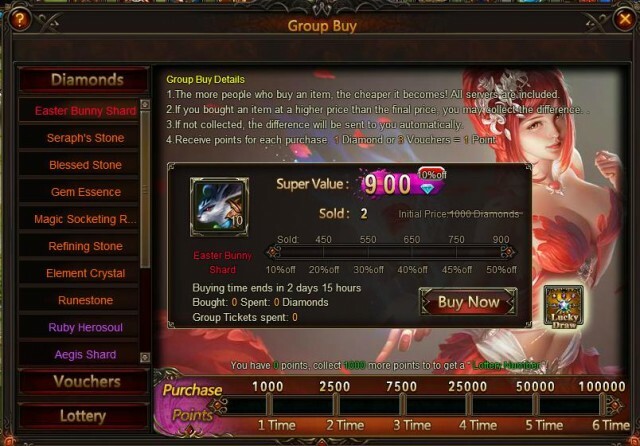 3.Group Ticket can be used in the Group Buy to purchase certain items. 1 Group Ticket is worth 1 Diamond. Group Ticket can be obtained from the events Octathlon, Total Recharge and Today’s Gift. Description: Log in every day to receive Group Tickets. Description: Complete daily challenge to win rewards! Description: Cumulatively recharge specific amount of Diamonds during the event to get Group Tickets and many other s!